Editor's note: Today we hear from John W. Penney, creative director and CEO of Miami-based BlackDog Advertising. 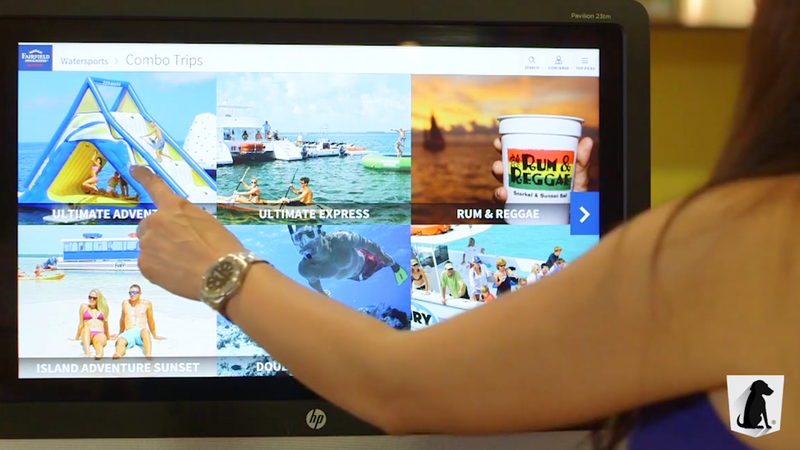 Read how the company used Chrome devices to build engaging hotel kiosks for a major hotel chain. I’d always wanted to start a business that used technology in creative ways — so I founded BlackDog Advertising in 1989. Since then, design has been at the center of our culture. We sell to businesses that use technology to engage customers, so our solutions need to be eye-grabbing and intuitive, elegant and approachable. Devices like the Chromebit and Chromebox align perfectly with our design-first approach and provide both cost-effective and dynamic solutions to expensive static light boxes and point-of-sale ads. Our team became well-acquainted with the efficiencies of Google productivity tools like Hangouts and Gmail when we switched to Google Apps for Work from Microsoft Office about five years ago. This led us to give Chrome for Work a try, and we saw even greater benefits for collaboration, ease of use and cost. That’s how we discovered that Chrome devices could work really well for our clients in the hotel and tourism industries. We tested whether we could use a combination of devices and monitors to create compelling interactive signs and quickly realized that we could centrally manage a constant stream of images and video with the Chrome device management console, for pennies on the dollar. The decision to build personalized apps on the Chrome Web Store that could be instantly updated across all of our clients’ kiosks was a no-brainer. Our client, a major hotel group, posed a challenge that pushed this line of thinking even further. 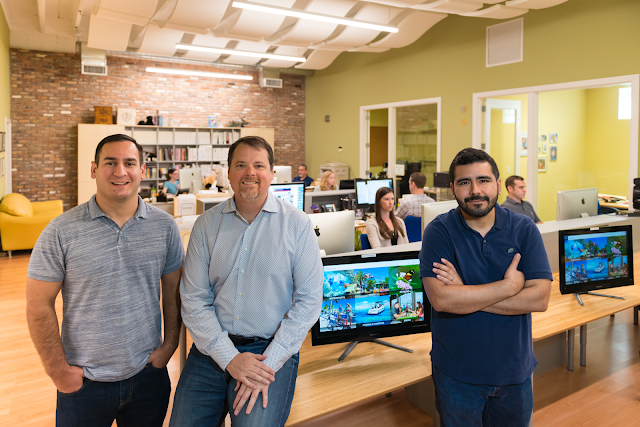 They asked us to build something that would replace the three-ring binders their concierge professionals have used for decades to show hotel guests activities and restaurants they might enjoy. We knew the use of tablets, which they suggested, would be expensive to implement over the long run and instead urged them to explore Chrome devices and touchscreen monitors. The Chromebit and monitor together cost less than a single tablet, but offered the added features of easy content deployment and theft protection. Hotels may carry up to 20 pitch books on hand, costing about $75 each. Our Chromebit kiosks, which can each replace all of a hotel's pitch books, cost no more than $400 — a savings of over $1000 for some hotels. Blending vivid imagery, video and interactive features, Chrome kiosks provide a modern alternative to the three-ring binders concierge professionals used to use when showcasing area events, activities and attractions. And hotel guests can interact with the kiosks on their own to plan or add to their itineraries, even after normal work hours, when the concierge desk is closed. We can use Chrome to design, test and introduce new solutions that our clients love. It’s reliability, ease of use and affordability make it an attractive option to replace all kinds of signage — not just concierge kiosks. Our clients have requested Chrome for other uses, such as ticket sale kiosks — all possibilities we’re eager to explore. Chrome’s marriage of approachable design and robust technology has created a new revenue stream for us, and we couldn’t be more thrilled to uncover where else Chrome will take us.